Hi All! Did you have a great weekend? I hope so! Luke and I have been feeling kinda stressed (or cranky) so we decided to just take off for a little weekend getaway. We went to Kansas City, which is about three hours away from where we live. We mainly tried a few new restaurants and explored some new shops. I connected with the Coveted Home on Instagram awhile back so it was fun to actually go in their brick and mortar shop. I bought two new decor pieces from them and can’t wait to share them. We hustled back to Springfield on Sunday afternoon to get prepared (or try to get prepared) for the asbestos abatement team that came in on Monday morning. We are having quite a bit of work done in the kitchen, dining, eat-in kitchen and master bathroom. I’ll share more about this in another post. But, I thought I’d share another round of The Ugly Truths and specifically, The Ugly Truths – Dining Room Reno Zone. 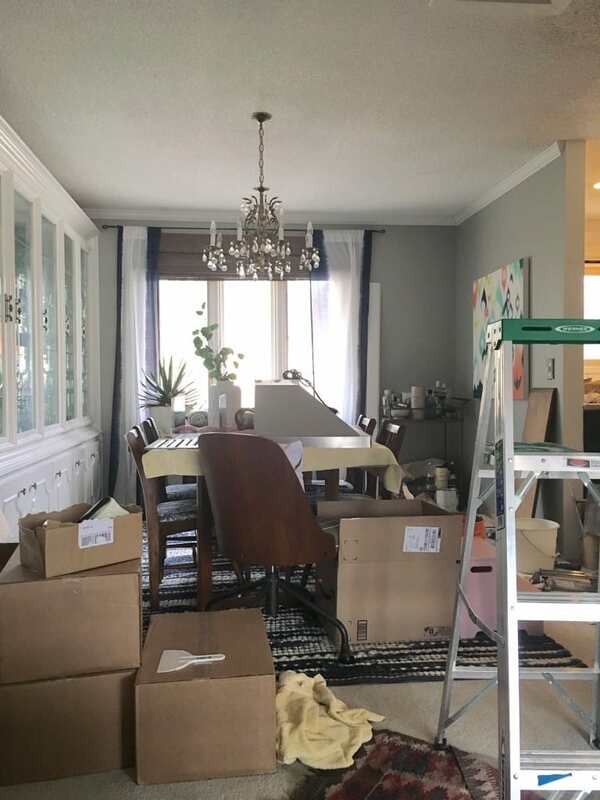 The single thing I hear most from friends about the renovations that we’re making is that they like or love what we are doing but it would drive them batty to live in a construction zone. They ask me how it doesn’t drive me nuts or how I deal with it. 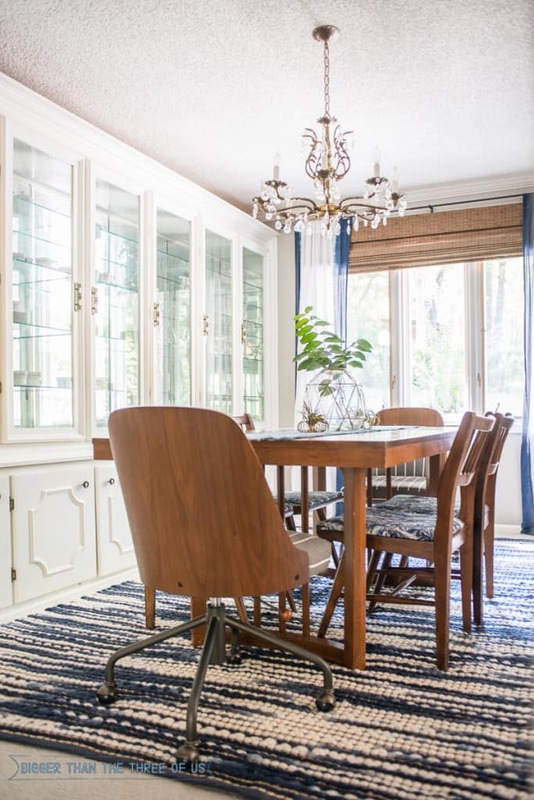 Well, today, I’m sharing some recent pictures of our dining room and then I’ll talk about that. The last few weeks have been especially hectic in the kitchen. 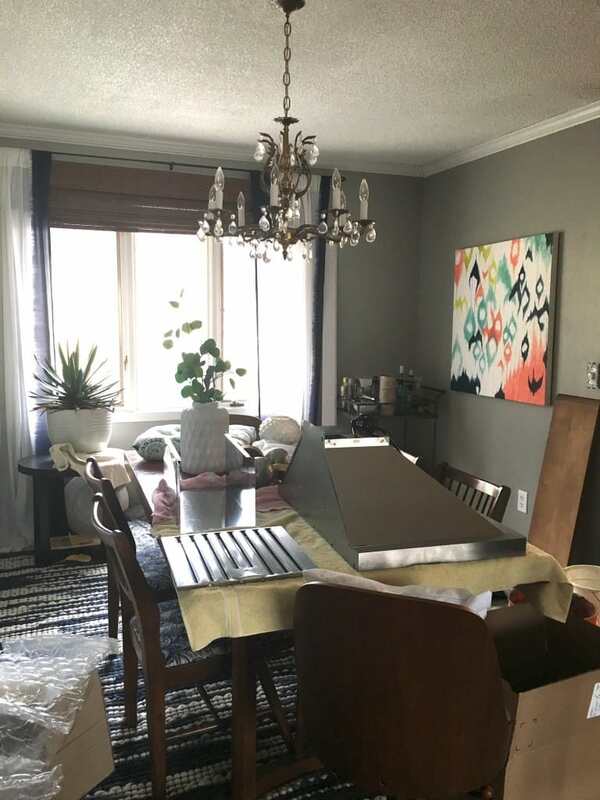 The decor, tools, tile, and all the extras from the renovation just naturally move to the dining room; because it’s right there. It’s a hot mess and that’s putting it lightly. Just in case you were thinking that renovations can be clean or tidy – think again! They are messy and that’s on a good day. So, back to the earlier question that my friends always pose. Ashley, how do you live in a construction zone? Honestly, somedays it doesn’t bother me and somedays it drives me nuts. I can take quite a bit because I know its only temporary and I’m going to end up with something amazing. BUT, when I reach my limit – there’s no compromise. Luke knows this very well. When I’ve reached my tool, materials, crap everywhere limit… I’m a madwoman on a rampage. I don’t care if I have to clean for an hour and then get it all back out in two days. That two days worth of no clutter, no reno stuff makes it all worth it. How do you deal with renovations? Does all the extra stuff drive you nuts?